Save $5.00 on your first beauty box for a limited time! Sign up now to get $5.00 off your first Allure Beauty Box! Pay just $10 for up to $90 worth of beauty products! 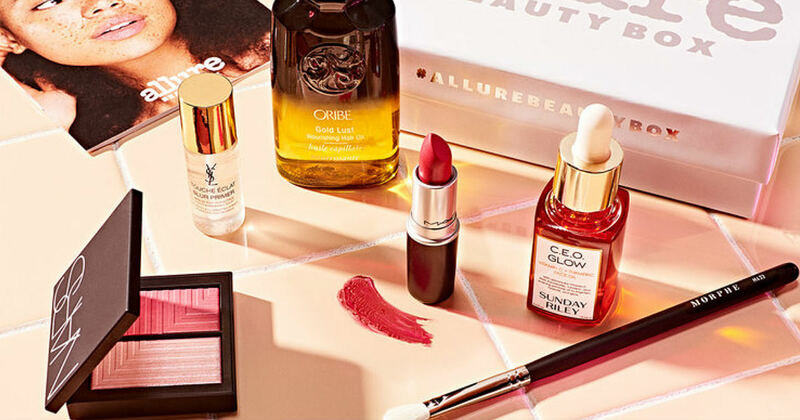 Allure’s monthly beauty box features luxury beauty products selected by Allure experts. Plus, get a FREE FULL-SIZED Juice Beauty Nutrient Moisturizer ($42 value) when you sign up! You'll be charged $15 every month for this beauty box, but you can cancel at ANY time. To be sure you will not be billed for the next month's box, cancel by the last day of the month prior. For example, cancel on or before November 30th to avoid being charged for the December box.